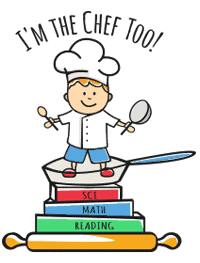 Summer Camp Schedule - I'm The Chef Too! Week of June 24 Pop, Fizz, Bang! Star Wars STEM Lab Let's Chef! Week of June 24 Bugs, Bugs, Bugs! The Beauty Bar Let's Chef! Week of July 8 Pop, Fizz, Bang! Week of July 15 Kitchen Adventures Let's Chef! Week of July 22 Bigs, Bugs, Bugs! Week of July 29 Pop, Fizz, Bang! Pop, Fizz, Bang! Let's Chef! Week of June 17 Bugs, Bugs, Bugs! Week of July 22 @ Centennial Lane Elementary School Bugs, Bugs, Bugs!